they have spoken against me with lying tongues. With words of hatred they surround me; they attack me without cause. In return for my friendship they accuse me, but I am a man of prayer. They repay me evil for good, and hatred for my friendship. 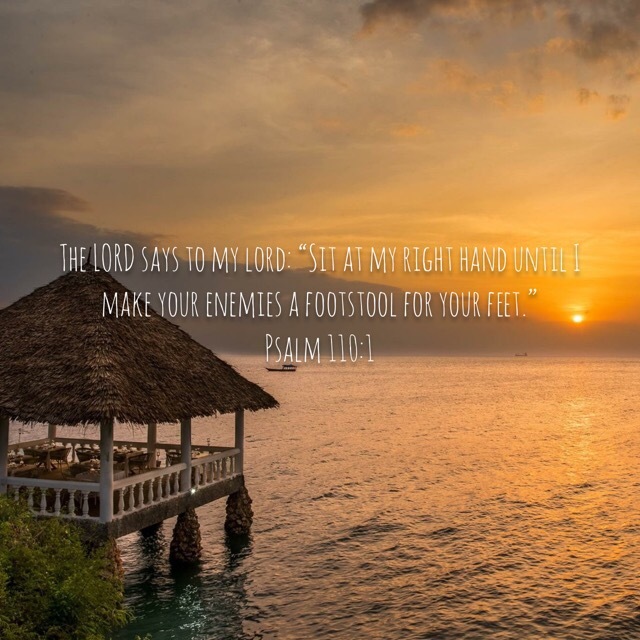 Appoint someone evil to oppose my enemy; let an accuser stand at his right hand. When he is tried, let him be found guilty, and may his prayers condemn him. May his days be few; may another take his place of leadership. May his children be fatherless and his wife a widow. May their sins always remain before the LORD, that he may blot out their name from the earth. For he never thought of doing a kindness, but hounded to death the poor and the needy and the brokenhearted. He loved to pronounce a curse— may it come back on him. He found no pleasure in blessing— may it be far from him. May this be the LORD’s payment to my accusers, to those who speak evil of me. But you, Sovereign LORD, help me for your name’s sake; out of the goodness of your love, deliver me. For I am poor and needy, and my heart is wounded within me. My knees give way from fasting; my body is thin and gaunt. Help me, LORD my God; save me according to your unfailing love. Let them know that it is your hand, that you, LORD, have done it. May my accusers be clothed with disgrace and wrapped in shame as in a cloak. Lord of my Lord I praise you this morning. The apostle’s quoted Ps 109 when they replaced Judas with Matthias. This is a really scary psalm Lord. It is intense what You will do to Your enemies who false accuse You. They basically will wear their curses as a cloak, how intense is that and totally wicked (not good as we would say nowadays and have made sin good). God I know how it feels to be falsely accused and it makes you insecure at times. When you want to do a good job people will see it as meaningless and a poor effort to cover their shortcomings. God I do know that You uphold the cause of the righteous and fight their case. May it be to them what this Psalm prophesied. The awesome thing is that they will be Jesus’ my Lord footstool. Praise God, Father I am glad that they are in Your hands and I will not pay retribution. It really challenges me God that this guy was a guy of fasting and he saw himself as a man of prayer. Seems like he saw that as his weapons of choice, a truly spiritual man. The challenging thing is also that this guy was a friend to his accuser still. I pray that I might help the helpless and be kind to the broken-hearted.